The star shape is a universal symbol. It is often associated with ambitious people and lofty goals, not unlike the world of fantasy sports. Little stars indicate optimism, while asymmetrical stars suggest excess energy. 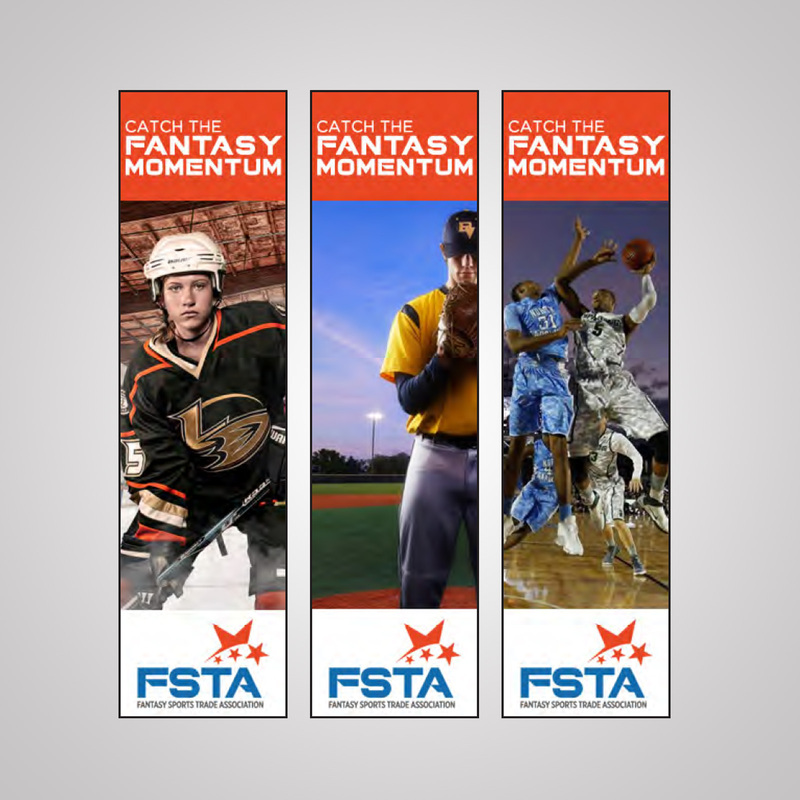 In addition, the asymmetry helps create a sense of motion and is curved to represent the global reach of FSTA. Sport fonts contain characters which are clear and easy to read. They are simple fonts which are not perplexed with stylish decorations. These fonts are usually thick and straight signifying authority and power. With this in mind Summit Inline Bold was used to treat the acronym and Gotham Medium was used to spell out the full name of FSTA. 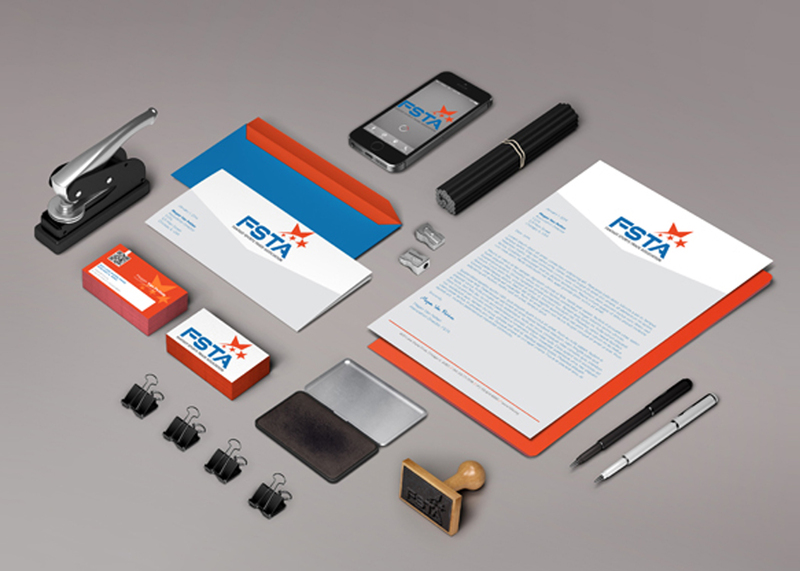 This ensures that the logo will be readable and easily identifiable across print and digital mediums. Orange represents enthusiasm, fascination, happiness, creativity, determination, attraction, success, encouragement, and stimulation. Orange has very high visibility, so you can use it to catch attention and highlight the most important elements of the design. As opposed to emotionally warm colors like red, orange, and yellow; blue is linked to consciousness and intellect. Blue suggests precision. Blue is a masculine color; according to studies, it is highly accepted among males. Blue is associated with depth, expertise, and stability; it is a preferred color for corporate America.